The Belloc family moved to England when Hilaire was two years old. After being educated at the Oratory School, Birmingham he served in the French Army. 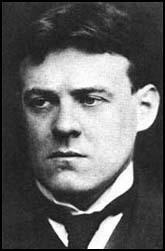 Belloc returned to England in 1892 and became a student at Balliol College, Oxford. He graduated with a first class honours degree but was disappointed when he was not offered a Fellowship. Convinced that he had been rejected because of his Catholic religious views, he went on a lecture tour of the United States. He also had two books of verse published:A Bad Child's Book of Beasts (1896) and Verses and Sonnets (1896). In 1900 he became friends with G. K. Chesterton. According to Chesterton's biographer, Bernard Bergonzi: "Chesterton met Hilaire Belloc, the Anglo-French writer and polemicist, who became a friend and literary ally. Chesterton tended to hero-worship Belloc and was strongly but not always fortunately influenced by him." The two men promoted Distributism, a theory based upon the principles of Catholic social teaching, especially the teachings of Pope Leo XIII and was seen as a philosophy that was opposed to both socialism and capitalism. It has been claimed that it expressed similar ideas to the anarchism of Prince Peter Kropotkin. Belloc returned to England and in 1902 became a naturalized British subject. A member of the Fabian Society, Belloc became friends with Edith Nesbit, Hubert Bland, Edward Pease, Havelock Ellis, Frank Podmore, George Bernard Shaw, H. G. Wells, Sydney Olivier, Sidney Webb, Beatrice Webb, William Clarke, Eleanor Marx, Edith Lees, Annie Besant, Graham Wallas and J. A. Hobson. Shaw and Wells helped him obtain work with newspapers such as the Daily News. Eventually he became literary editor of the Morning Post. In 1906 Belloc purchased King's Land in the hamlet of Shipley, near Horsham for £900. This included a house, five acres of land and Slindon Mill. Belloc developed a deep love for Sussex and over the next thirty years wrote numerous articles and several books on the subject. Soon after moving to the area Belloc became the Liberal candidate for South Salford and in 1906 General Election Belloc was elected to the House of Commons. Belloc was disappointed by Henry Cambell-Bannerman and his government's lack of radicalism. He was particularly upset by the government's failure to repeal the 1902 Education Act. Although his mother, Elizabeth Rayner Belloc and his sister, Marie Belloc Lowndes, were strong supporters of women's rights, Belloc held strong views against women's suffrage. He wrote that: "I am opposed to women's voting as men vote. I call it immoral, because I think the bringing of one's women, one's mothers and sisters into the political arena, disturbs the relations between the sexes." Hilaire Belloc won a narrow victory at South Salford in January 1910 but lost it in the second General Election in December. Belloc now returned to journalism and over the next couple of years wrote for the Pall Mall Gazette, Glasgow Herald and the New York World. Belloc became increasingly close to Cecil Chesterton, and according to his biographer, Bernard Bergonzi, "by 1911 had abandoned socialism in favour of distributism, the doctrine advanced by Belloc and G. K. Chesterton, that sought social justice in the widest possible distribution of personal ownership, with the Catholic peasantry of Europe as a model." Chesterton shared Belloc's disillusionment with the House of Commons, and the two men collaborated in an attack on it in The Party System (1911). In 1911 the two Chesterton brothers and Hilaire Belloc launched the political weekly, the Eye-Witness. With contributors such as George Bernard Shaw, H. G. Wells, Arthur Ransome, and Maurice Baring, the journal sold over 100,000 copies a week. In 1912 Cecil Chesterton, backed by money from his father, took over the paper. The name was changed to the New Witness and Ada Jones became assistant editor. It now concentrated on exposing examples of political corruption, including the sale of peerages. The journal also accused David Lloyd George, Herbert Samuel and Rufus Isaacs of corruption. It was suggested that the men had profited by buying shares based on knowledge of a government contract granted to the Marconi Company to build a chain of wireless stations. In January 1913 a parliamentary inquiry was held into the claims made by New Witness. It was discovered that Isaacs had purchased 10,000 £2 shares in Marconi and immediately resold 1,000 of these to Lloyd George. Although the parliamentary inquiry revealed that Lloyd George, Samuel and Isaacs had profited directly from the policies of the government, it was decided the men had not been guilty of corruption. Godfrey Isaacs, the financier who headed the company, sued Chesterton and after being found guilty was fined £100. After leaving the House of Commons Belloc moved to the right. He now totally rejected the kind of reforms advocated by his old friends in the Fabian Society. 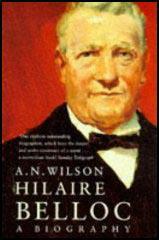 In his book The Servile State (1912) he attacked welfare programmes such as social insurance and minimum wage levels. As well as a leading journalist and political thinker, Belloc was also a successful novelist, Mr. Clutterbuck's Election (1908), A Change in the Cabinet (1909), Pongo and the Bull (1910) and historian, The French Revolution (1911) and the History of England (1915). A strong supporter of Britain's involvement in the First World War, Belloc was recruited by Charles Masterman, the head of the War Propaganda Bureau(WPB), to help support the war effort. This included writing The Two Maps of Europe (1915) for the WPB. Soon after the war started, Jim Allison, advertisement manager of The Times, decided to form a new periodical, Land and Water. It appeared weekly and dealt exclusively with the war. Belloc became the journal's military correspondent and over the next few years made frequent trips to the Western Front. He also received detailed accounts of what was happening from friends in the British Army. Land and Water was a great success and within a few months had a circulation of over 100,000. Belloc had always been hostile to the German race but in wartime, his views became extremely popular. He told the readers of Land and Water that the war was a clash between pagan barbarism and Christian civilization. His estimates of German casualties were often highly inflated and he constantly made inaccurate estimates about when the war would be over. He confided to his friend, G. K. Chesterton, that "it is sometimes necessary to lie damnably in the interests of the nation." Belloc lost many friends during the the First World War including Basil Blackwood, Cecil Chesterton and Raymond Asquith. His son, Louis Belloc, who joined the Royal Flying Corps, was killed while bombing a German transport column in August, 1918. After the war Belloc wrote a book propounding Roman Catholicism, Europe and Faith (1920). Belloc also published a series of historical biographies: Oliver Cromwell (1927), James II (1928), Richelieu (1930), Wolsey (1930), Cranmer (1931), Napoleon (1932) and Charles II (1940). In 1942 Hilaire Belloc suffered a stroke. He lingered for eleven years and died on 16th July, 1953. (1) Viscount Simon wrote about Hilaire Belloc at Oxford University in an article for the Sunday Times published on 9th June 1946. Hilaire Belloc, then a history scholar of Balliol, was our star performer ... and I agree with Lord Birkenhead that he was 'undoubtedly a great orator'. The full tones of his resonant deep-pitched voice might have come from the throat of his hero, Danton. His wider range and his imaginative outlook, together with the intensity of the feelings to which he gave utterance, made an unforgettable impression. Mr. Belloc, Balliol, who had already taken a fair share in the conversational rhetoric of the debate, spoke as a Roman Catholic, a Frenchman and a Democrat. He abused the aristocracy, of whom he has quite primitive ideas, he abused the Church (of England) and he abused the preceding speaker. He cannot help being eloquent and whatever he says must always be listened to, for it is always interesting and well said. But it is a pity he does not always confine himself to the question at issue. My retirement from Parliament at this moment is necessary under the present electoral law. Without a second ballot, without proportional representation, nothing but a very great expenditure or some particular hold upon the locality can give a man a chance against the two official candidates. Had I fought South Salford an official Liberal would have been put against me, and the sum of £600 to £1000 would have been put at his disposal, and an expenditure of £600 would have been necessary upon my side. The official Liberal would have received anywhere from a thousand to two thousand votes, proceeding from convention, tradition, Non-Conformist opposition to a Catholic, and so forth. My quarrel would not have been that the Conservative would have got in, for it does not matter in this election who gets in, but that £600 on my side would have been thrown away. Moreover one must be inside the House to see how utterly futile is any attempt at representative action. It is all very well as advertisement, but it is without any practical consequence whatever, and it is like trying to feed on air to attempt to satisfy the appetite for action under such conditions. I cannot overstate the impact of this book upon my mind and in this I was but symptomatic of thousands of others who had passed through the same phases as I had. Belloc argued, with a rigorous cogency and with forceful illustration, that the whole allegedly socialist trend, which the Fabians were so fond of boasting that they had grafted upon Liberalism, was leading not to a community of free and equal citizens, not even to any true collectivism, but to the unposition upon the masses, as the price of the reforms by which their social condition was to be ameliorated, of a servile state. It is wise to keep the mass of people in ignorance of disasters that may be immediately repaired, or of follies or even vices in government which may be repressed before they became dangerous. Many of the German guns have a range of eight miles, shells fall so impartially they can't be dodged, one must simply wait with resignation what fate has in store. The most horrible scene I have witnessed was one that followed the explosion of two shells of the largest calibre on our billets killing 24 and wounding 20. I was on the spot and helped to remove the shattered debris. I shall never forget the hateful sight or the long drawn out melancholy business of digging graves and giving the 18 bodies of the others Christian burial - nor shall I forget the idiotic address of the military chaplain who was brought up from the neighbouring hospital for the purpose. I must tell you that your articles in Land and Water are enormously appreciated here by soldiers and it occurred to me at once to suggest to you that it might be worth your while to get the job of writing the official history. I expect it would be a gold-mine and one of the works which will live for ever. It is sometimes necessary to lie damnably in the interests of the nation. It wasn't only numbers that lost us Cambrai; it was very bad staff work on the south side. Things like thought oughtn't to happen.